German police officially confirmed the death of a Ukrainian. German police has confirmed that among those killed in the terrorist attack on a Christmas fair in Berlin on 19 December, one Ukrainian citizen died, Ukraine's Ambassador to Germany Andriy Melnyk wrote in his microblog Twitter on 23 December. "Unfortunately, the German police officially confirmed the death of a citizen of Ukraine as a result of the terrorist attack in Berlin on 19 December," Melnyk wrote. The ambassador expressed his condolences to the relatives of the deceased. "On behalf of the Ukrainian state, I express deep condolences to the daughters of our compatriot, who has fell victim of a terrorist attack," said Melnyk. 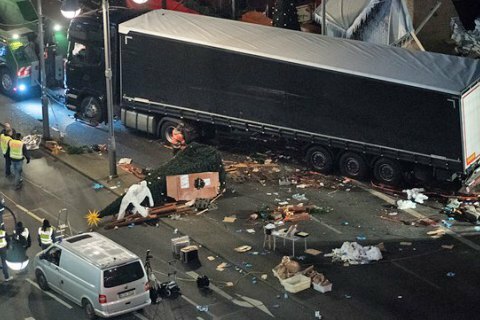 On the evening of 19 December 2016, a truck was driven into the Christmas market next to the Kaiser Wilhelm Memorial Church at Breitscheidplatz in Berlin. 12 people were killed and 56 others injured. The terrorist group Islamic State took responsibility for the attack. Anis Amri, a suspect in the terror attack has been killed in a shootout with police in Milan, the Italian Interior Ministry said Friday.